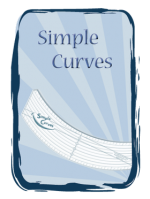 Where can I get the Simple Curves downloads? click Simple Curves matching ends. 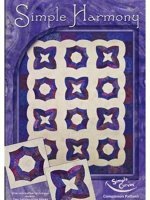 click Simple Curves table runner straight ends. click Simple Curves narrow strip cutting. click Simple Curves wide strip cutting. click Simple Curves Block Options. Try the Simple Bands pattern for the Wedding Ring look. What patterns are available using the Simple Curves Tool? 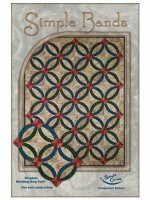 Try the Simple Harmony pattern for a fun twist. The packaging comes with a Simple Curves Runner pattern and we have the Simple Garden Runner and Placemat patterns available on the Free page!